Sorry Clinton Supporters, Your Latest Attack On Sanders Isn't So "Sweet"
Following the arguments on the Democratic side of the presidential race this week of oil donations to candidates, the Hillary supporting crowd thinks they found a gotcha from another industry to go after Sanders with. Perhaps they should have looked a little deeper. 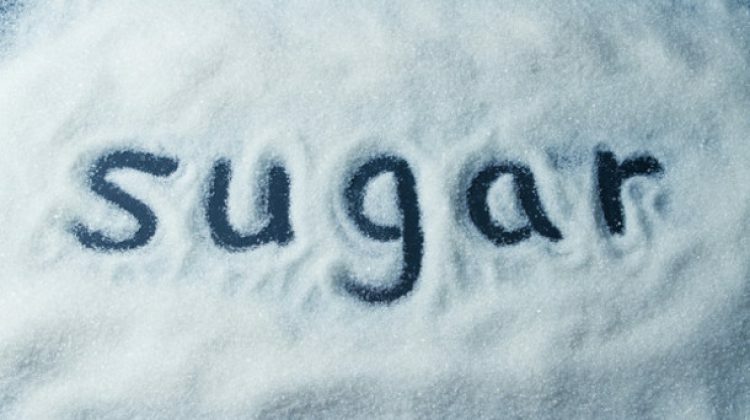 Dozens of Republican and Democratic senators have accepted funds from the sugar industry in the past three electoral cycles. The top recipients in those cycles were Debbie Stabenow (D-MI) with $82,230, Thad Cochran (R-MS) with $81,500, Blanche Lincoln (D-AR) with $76,300, Bill Nelson (D-FL) with $70,250, and Mary Landrieu (D-LA) with $69,700. For all his proclaimed independence, Sanders cannot stop himself from gorging on the sweet deal the sugar industry offers. In the past two election cycles, ACS donated $20,000 to his campaigns. This ranks ACS among Sanders’s top 20 donors, ahead of groups such as Planned Parenthood, the Teamsters, and the American Federation of Government Employees. First let’s get rid of the elephant in the room, and in this case an actual elephant. Clinton supporters are circulating a report by the Manhattan Institute to go after Sanders. The Manhattan Institute is a far-right Conservative think tank. Yup, guess Hillary does have some friends on the far right of the aisle. But that donation got me looking? Going through OpenSecrets the Sugar Cane and Sugar Beets industry did give $19,000 to Sanders in 2012. Going back to other cycles, I can’t find any money from the industry going to Sanders at any other point.So not actually $20,000, but hey, they could be rounding up, so I’ll give it to them. Also, the past two cycles really turns into one. Apparently they are considering 2014, which was a Congressional cycle, but Sanders wasn’t running that year. Before jumping into the numbers, I want to address something else in the report. One of the biggest arguments is because of Sanders voting for the farm bill, which Clinton always voted for while in office. But the bill isn’t just about farm subsidies. The bill also covers SNAP, the food assistance program. It was a dirty move by Republicans years ago to tie the two together. So yes, Sanders (and Clinton) did vote for the bill, but they were also voting to help feed our most vulnerable people. So are Clinton supporters now against feeding the hungry? But back to the numbers and starting with; who is this “ACS” they say gave all this money? Well, ACS is American Crystal Sugar Company. Now OpenSecrets is great for looking at the quick data, but they clump everything by industry. So ACS would be in the same category of contributors as say a Janitor as a sugar company. When you want to get further into the data, you need to head over to the FEC’s site, which is what the OpenSecrets data is compiled from. On that site we see that Sanders got $10,000 from the ACS in 2012. WHOA!!! $51,250 to Hillary in 2008, making her the top earner from the industry? Well that’s a big jump from the $19,000 (oops – $20,000 since they rounded up) Sanders got in 2012. And I could stop here, but since the article also mentions Rubio, I decided to take a look at Presidential candidates for this year. Want to take a guess what I found? Well lookie there. While the now-defunct Marco Rubio was the top recipient of cash from the industry, we see Hillary Clinton coming in second. And who is missing? Well that would be Bernie Sanders. So in total, going over the past 10 years, Bernie Sanders has received $19,000 from the industry one time, in 2012. Hillary Clinton, on the other hand, has received over $100,000 from the industry during 3 different years. That’s more than 5 times the amount Sanders has got. A “gotcha” against Sanders? Not at all. This is just an example of panicking Clinton supporters thinking they dug up some dirt on Bernie Sanders. Well maybe not dirt, but perhaps a little dust. The real dirt is on their own candidate.